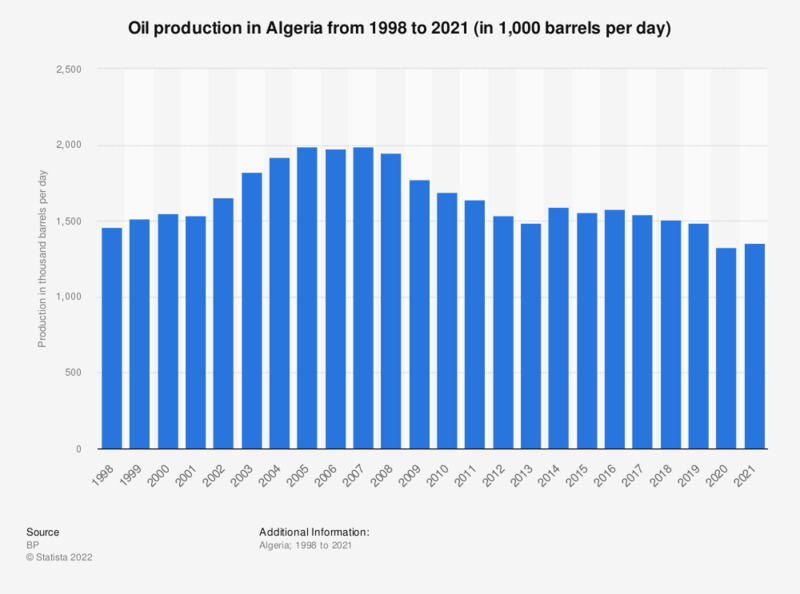 This statistic shows the oil production in Algeria from 1998 to 2017, measured in thousand barrels per day. In 2017, the oil production in Algeria amounted to around 1.54 million barrels per day. Algeria is among Africa's largest oil producers.